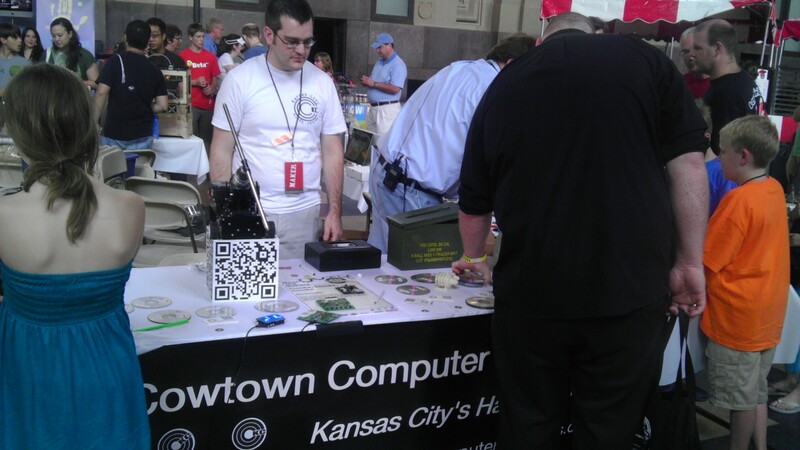 Be sure to check out Part 1 of the KC Maker Faire photo series. In this post, we explore some of the big hitters of the show, including crowd favorites ArcAttack, as well as battling robots. Read on to see the wonders! ArcAttack! : We have seen these guys from Austin, Texas in the past, and they never seem to disappoint. This time they were putting innocent victims volunteers into a faraday cage, and singing away with their musical Tesla Coils. The video is even in optional 3D, for those in the audience with a pair of glasses sitting around. 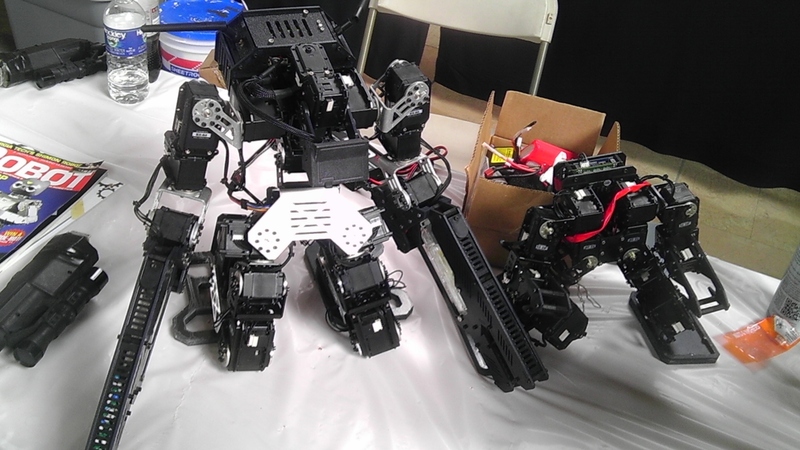 Mech-Warfare: A number of people were showing off their Mech Warfare robots. 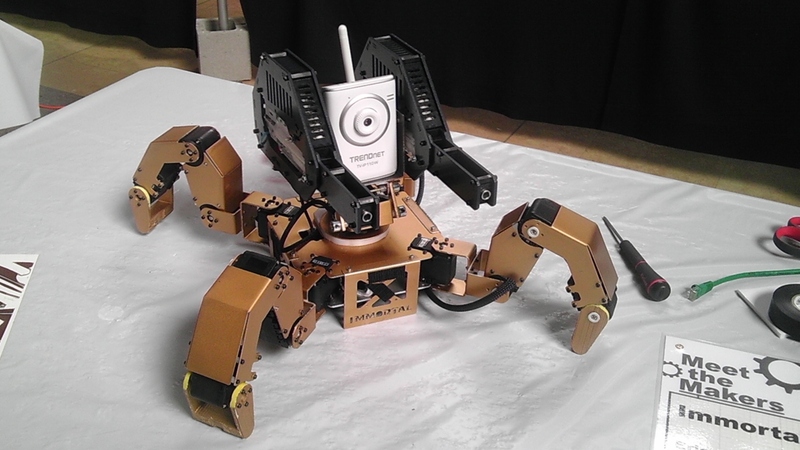 These robots were remotely controlled, and piloted using only the video cameras mounted on board. Suited up with Airsoft weapons, they were amazing to just look at. 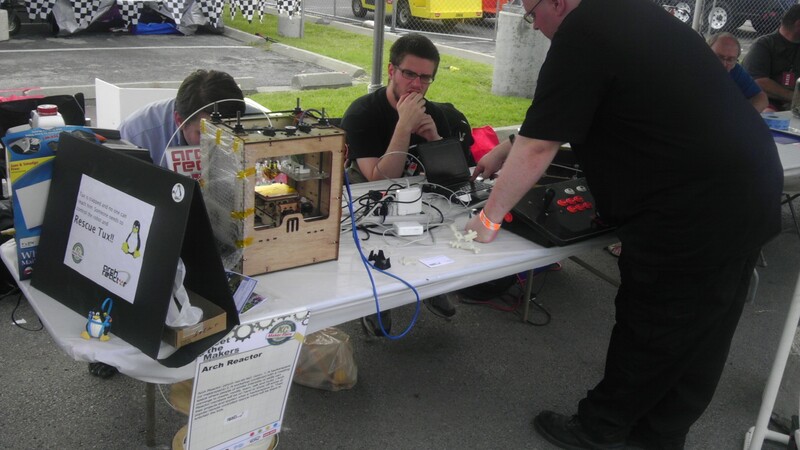 Hackerspaces: There were at least two hackerspaces being represented at the Maker Faire. Kansas City’s own Cowtown Computer Congress, as well as St. Louis’ Arch Reactor. Both of these groups have seen a bit of limelight on Hackaday, and it was good to see them out in public showing off projects and educating the public. Miscellaneous: Some projects just did not categorize well, but were still worth showing off. 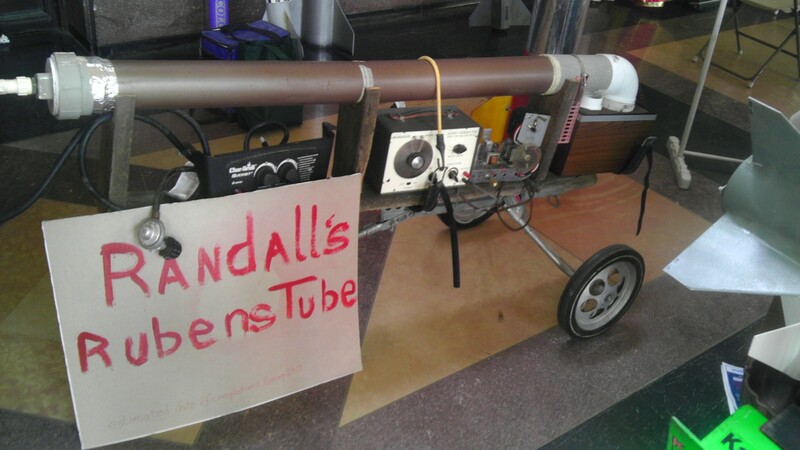 A Ruben’s tube to go, not fired up inside the hall, but we were assured it was fully working. 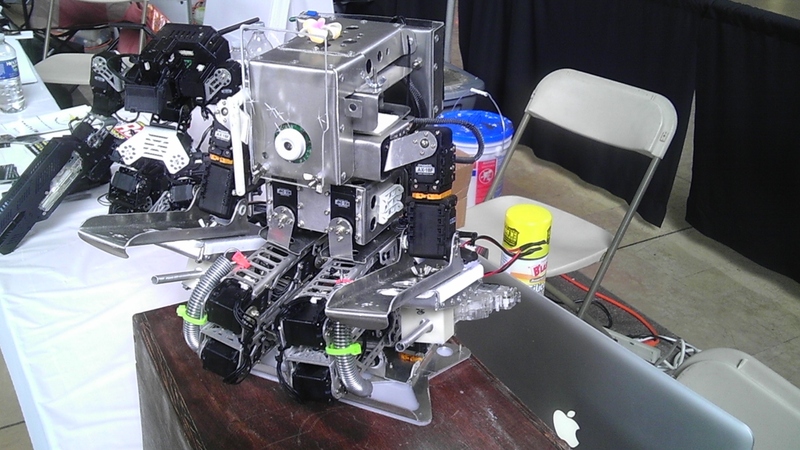 There were countless other projects to see, touch, and listen to at the Kansas City Maker Faire. A wonderful way to spend a weekend, I can’t wait to see you all next year. If i wasnt poor and microcontroller retarded Id make a 3d printer in a heart beat. And Id really like to see how they made that huge molded car body. 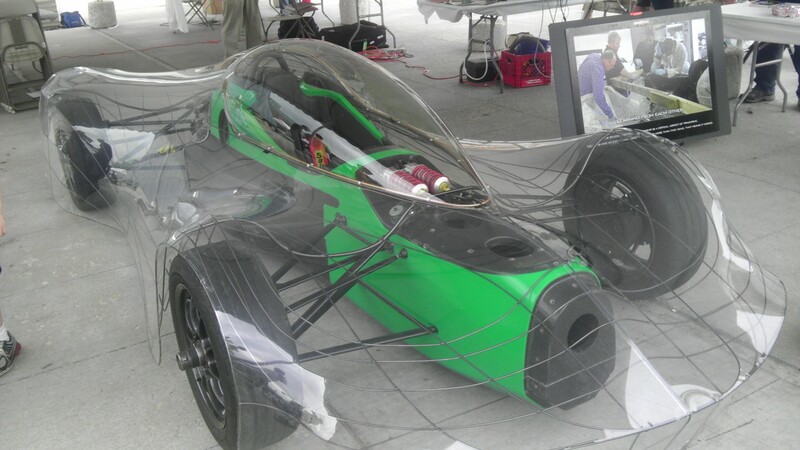 The car body was some type of shrink wrap stretched over a wire frame, for visualization I guess. It was pretty cool. The thing I thought was cool about it was how the transmission and differential was also the rear suspension mounting points, all in a single casting. Oh wow (yes I know I’m sad but I’m eccentric so im aloud to gt away with being odd) haha. If you watch the video In the dark and use two fingers put on your nose to keep yourhead off the screen focus on the video as it plays now separating your fingers to move your face further from the screen keep focus on the image… If you get it just right you see three images. The centre one is 3D in appearance. This may just be me. How knows. Haha.